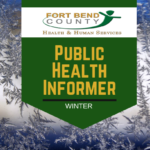 Your answers to this survey will give Fort Bend County important information we can use to make better plans for people who may need extra help during emergencies or natural disasters. Fort Bend County does not evacuate prior to hurricanes because we are too far from the coast to be threatened by storm surge. However, local emergencies, or severe damage or flooding after a storm, may require movement of people to a safe location.